Nothing can cause a sinking feeling in the pit of your stomach faster than realizing that your precious documents stored on an external drive are no longer accessible. Although tech security professionals always recommend that people make at least one copy of all irreplaceable files, that advice is a little too late if the files that you need are on a dead external drive. The good news is that there is a chance to recover your files, but the process isn’t guaranteed. We’ve compiled the best methods of recovering your files from an external hard drive, but let this serve as a valuable lesson in the future of just how important it is to backup everything in the future. When your external hard drive stops working, the problem is either mechanical or logical. A mechanical failure means that one or more physical components of your external hard drive are no longer working. Symptoms include telltale clicking, whirring, or other unusual sounds. 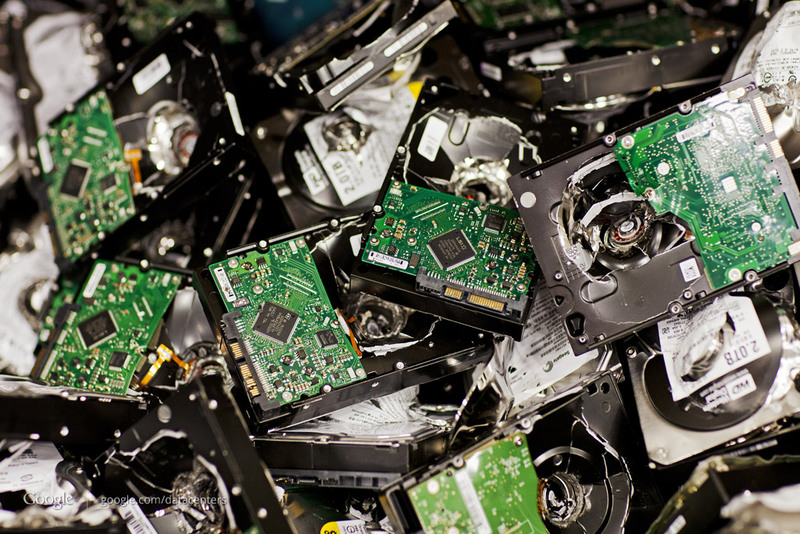 This may be the result of dropping the drive, submerging it in water, dust entering into sensitive parts, exposure to excessive heat, or simply older parts wearing out. A logical failure means that something has happened to either the way the drive is being read or the way your computer is attempting to interface with the drive. Sometimes, a physical issue like a bad sector (disturbed magnetic issues on the disc plate) can trick your computer into thinking the rest of the sectors (and the files stored there) are also unreadable. Whether your external hard drive or suffering from a logical or mechanical failure, there are a number of steps you can take that will give you a good chance to recover your precious lost files. Companies that offer professional recovery services may charge $500 or more to restore your files for you. There are also software programs that can help, but before heading down this route, there are some steps you can take that won’t cost you a dime. Freezer – In rare cases, your external hard drive may not be working properly because it has overheated. A free and easy “hack” is to place your external hard drive in the freezer for several hours, allowing it to cool down. After removing it from the freezer, quickly connect your external hard drive to your computer and see if the problem has been fixed. 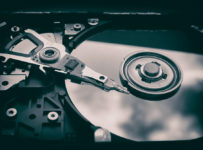 If it has, be aware that your hard drive will soon begin to heat up with use, so transfer all vital files to your computer as quickly as possible. 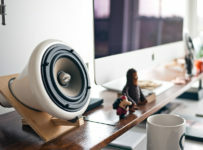 Try Another Computer – To rule out the problem being your computer instead of a failure with the hard drive, connect the external drive to a different computer and see if can be accessed. If you can, quickly transfer all vital files to the other computer. Once that’s done, usually you can regain access to the “dead” external hard drive by reformatting it, although you will lose all the stored files in doing so. Try Another Port – Exactly the same as the above tip, try plugging your external hard drive into a different port on your computer. Give it a Slight Tap – There’s a very small chance that something inside your external hard drive has become slightly misaligned, perhaps due to a fall or hard impact. Giving your external hard drive a slight tap may get it to work again, although the chances of this succeeding are very slim. Windows – If you’re using a Windows operating system, open a command prompt window and type “chkdsk /f X:” where “X” is the letter corresponding to your external hard drive. If this works, you’ll see a prompt asking if you want to save the damaged files in another location (i.e. on your computer). Click “yes”. Virus Issues – There is a small chance that what’s causing the problem is that a virus has infected your external hard drive. Use your preferred virus protection program to scan your external hard drive. If the data on your dead external drive is truly irreplaceable, you should always send the drive to a professional recovery company. Be aware that if you try the following yourself, you could potentially cause irreversible damage. Before attempting anything, make sure the dead drive is unplugged and powered down! The inside of your external hard drive will have two sections, the hard drive itself (usually a silver rectangle) and the SATA card/bridge that is a small green rectangle that transfers the signals from the hard drive to the place where you plug in the (external) cable that then connects to your computer. In some external hard drive models, the SATA bridge is incorporated into the hard drive itself. If this is true, there is nothing you can do, and you’ll need to send your dead drive to a professional recovery firm. Look for tiny screws on the case (usually on the bottom). If they’re there, use a screwdriver to remove them. If there are no screws, use a flat-head screwdriver or another similar tool to pop open the case. It’s okay if you crack the case, but try not to damage the internal components. Once you have accessed the inside, look for the cable that connects the internal drive to the power supply. If that’s loose or unplugged, reconnect it. 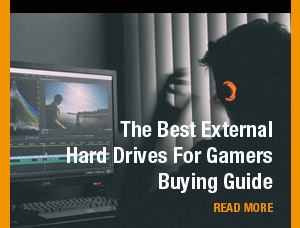 Then turn on your external hard drive and connect it to your computer and see if the problem has been fixed. Likewise, there’s also a cable that connects the hard drive to the “bridge” or the part that connects to your computer via the USB cable. If it’s loose or disconnected, reconnect it and test it. If everything looks all right, power down your computer and then connect your hard drive. Blow on the exposed insides of the external drive to try and dislodge any dust or debris. Power on your computer and see if it can now successfully access the drive. If none of the above work, the problem may be the SATA-USB adapter. The SATA port is a long, very thin series of pins that then connect to an adapter or “bridge” (usually a small green board) in order to send signals via the USB cable on the other side to your computer. In most cases of dead hard drives with physical issues, it is this bridge that fails. You’ll need to purchase a SATA/USB adapter, but this can usually be found online for $10 or less. Once you’ve plugged in the adapter, connect the external drive to your computer. If everything works, copy all your essential files to your computer as quickly as possible. If nothing else works, you have one last additional option before handing it over to the pros. Purchase an identical external hard drive as your dead one and then replace the dead drive’s circuit board (it’ll be colored green or red) with the circuit board from the dead drive. Whatever you do, never attempt to open the hard drive itself. Only handle the internal cables and the SATA bridge/adapter. 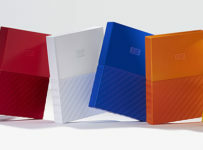 Several companies offer paid software solutions to recover lost files from an external hard drive. Many of the software programs linked to above have free demo versions that will at least let you know if they can read your external drive before having to pay for the full version. If you do manage to gain access to your files and transfer them off your previously dead external hard drive, thank your lucky stars! Don’t get complacent and immediately devise a backup plan for all your essential files whether that’s to a written CD-ROM, cloud storage, or by making multiple copies to more than one external drive. Remember, all external hard drives will eventually fail no matter what you do. Establish a good backup plan immediately, and you’ll never have to stress about lost files again.